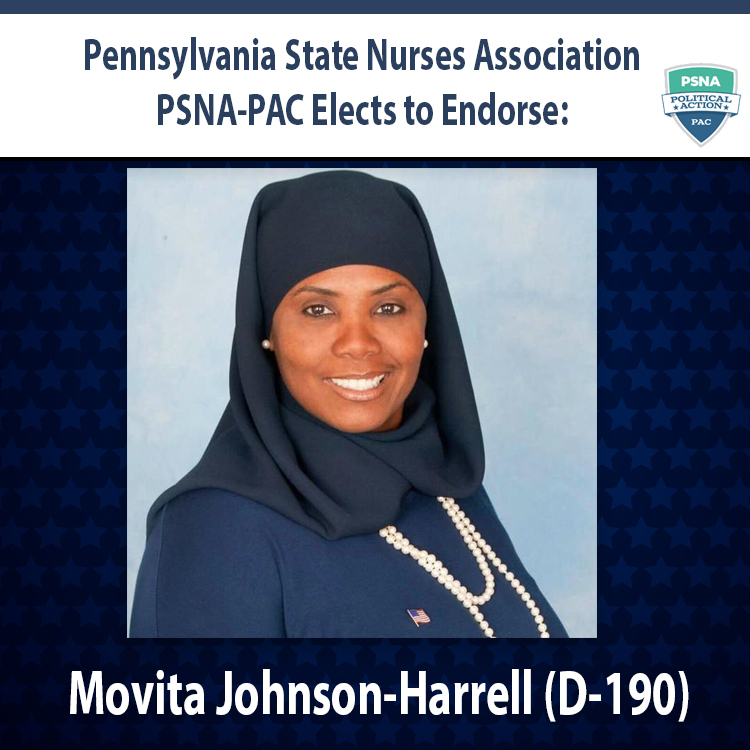 The Pennsylvania State Nurses Association Political Action Committee (PSNA-PAC), representing Pennsylvania’s 221,000 registered nurses, is pleased to announce the endorsement of candidate Movita Johnson-Harrell (D) in the race for Pennsylvania’s 190th district. 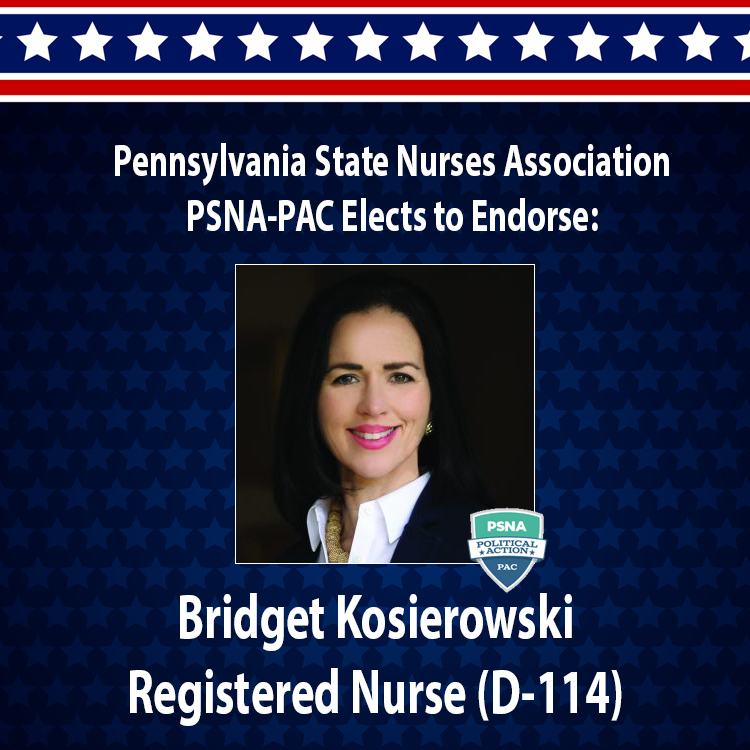 PSNA is confident that Movita’s leadership will promote nursing and health care policy in the Pennsylvania House of Representatives. The association looks forward to working with Movita on legislation including Chief Nursing Officer of the Commonwealth and full-practice authority to for advanced practice nurses.